Oxide/foil referenced to Al2p metal peak. 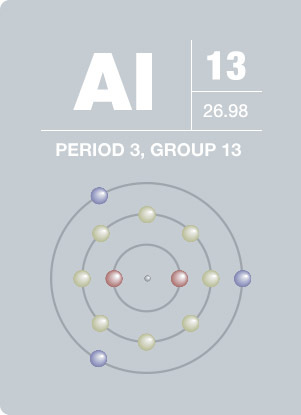 In the presence of high platinum or copper concentrations, acquire Al2s as well as (or instead of) Al2p peak. Aluminium oxide is an insulating material and the oxide peak position may vary with the thickness of the film. The relative intensities of the oxide and metallic peaks will also change with oxide thickness. This effect allows XPS to measure the thickness of Al oxide films. Splitting only observed for Al metal and under typical experimental conditions, manifests as asymmetry in peak rather than outright splitting. 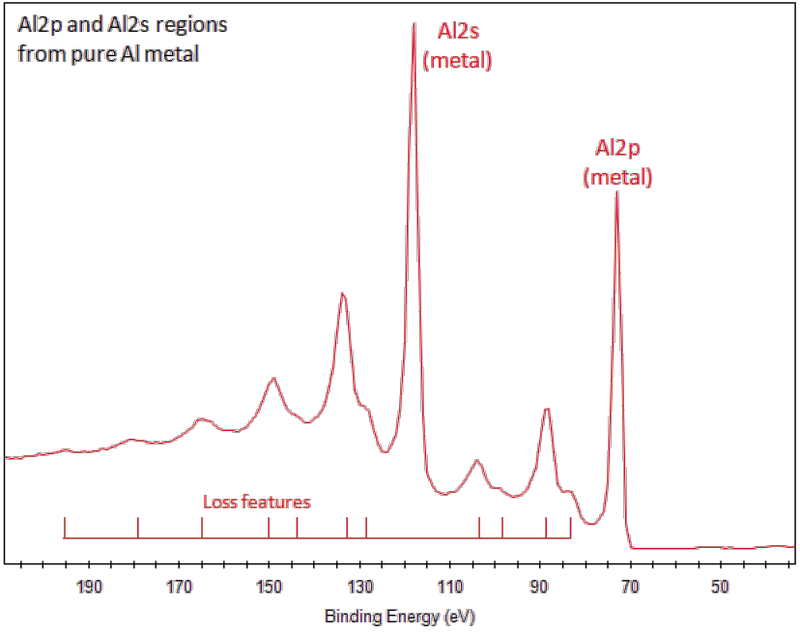 Splitting may be ignored for Al2p peaks from aluminium compounds, such as Al oxide. Metallic Al2p peak is ideally fit with asymmetric peak shapes. 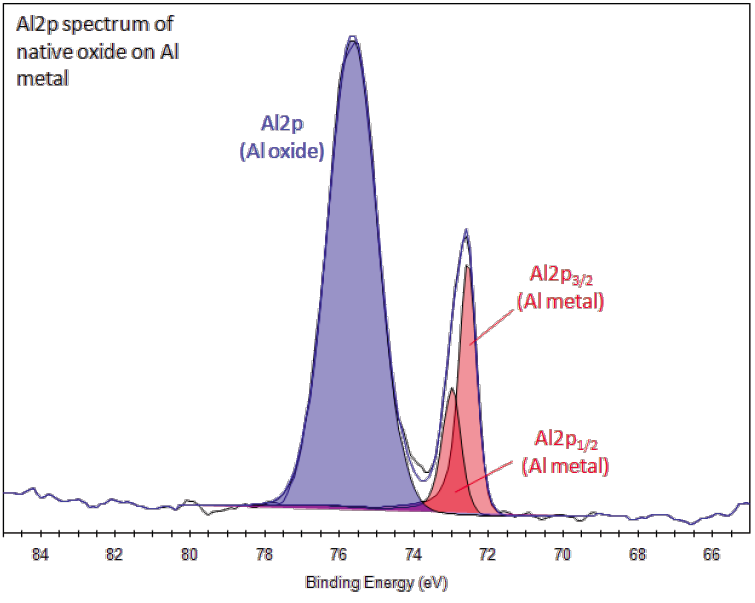 Compounds, such as Al oxide, have symmetric Al2p peaks. Aluminium metal exhibits energy loss features with a significant intensity. These features can overlap/obscure XPS peaks to higher binding energy, e.g., Si2p and Si2s peaks. Aluminium is a highly reactive metal so as received metal always has a surface oxide present. The thickness of the oxide film may vary depending upon any previous cleaning treatment. Aluminium oxide may be hydrated with the presence of hydroxide species. These may react with atmospheric CO2 to form surface carbonates. After Ar+ sputtering, the reactive surface may adsorb oxygen and reform oxides. While ancient civilizations used aluminum salts for dyeing mordants and astringents, it wasn’t until 1825 that H. Ørsted isolated aluminum. The biggest breakthrough came in 1886, when C. Hall developed an inexpensive electrolytic process for extracting aluminum from the ore bauxite. This process is still commonly used today. Aluminium is valued for its light weight, strength, durability and resistance to oxidation, and has propelled the use of aluminum alloys for aircraft and rockets. Evidence exists that high levels of aluminum may be toxic, although aluminium is generally considered less toxic than most heavy metals. Although the durability of aluminum is well known, certain chemicals such as mercury can cause corrosion in aluminum. This is the reason why mercury thermometers are not allowed on aircraft.